In exciting news from our USA STAGETEC MEDIAGROUP office, our products continue to be used behind the scenes on Broadway in New York City! Currently playing at Broadway's beautifully restored Lyric Theatre, in the heart of Times Square, On the Town tells the story of three wide-eyed sailors on a whirlwind musical tour of the city that never sleeps. The show is fun, it exudes energy and to ensure that both vocal and instrumental performances are their very best, On the Town is mixed on an AURUS digital console with signal management handled by NEXUS and NEXUS Star routers from SALZBRENNER STAGETEC MEDIAGROUP. 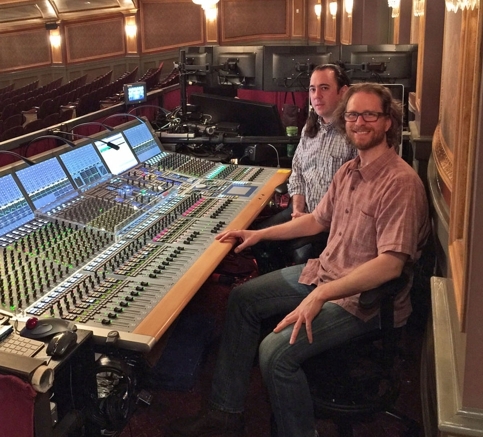 Yonkers, NY-based Sound Associates, Inc., a design/build provider of professional audio and video systems for a wide range of applications, coordinated the rental of the STAGETEC equipment for On the Town. Greg Reif, Project Supervisor at Sound Associates, oversees all production system builds and facilitates stock and purchasing for all shows. 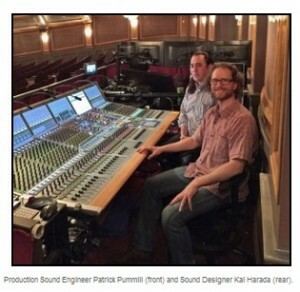 Patrick Pummill, Production Sound Engineer for On the Town sat down with Greg to discuss the placement of the STAGETEC equipment and how it was implemented for use with On the Town.